I am delighted to report that I am now working with Leigh-on-Sea’s most imaginative and creative chef, John Lawson. John was a rising star working in one of the most prestigious hotels in Melbourne, Australia, when he was diagnosed with a brain tumour aged just 31. He had brain surgery and the tumour was removed, but John was told that it might return. You can read his story on is own website, here. Although he knew all about food and cooking, John realised that he didn’t know enough about nutrition and health. He was determined to do everything he could to slow or even halt the regrowth of his tumour and went on a quest to learn more. 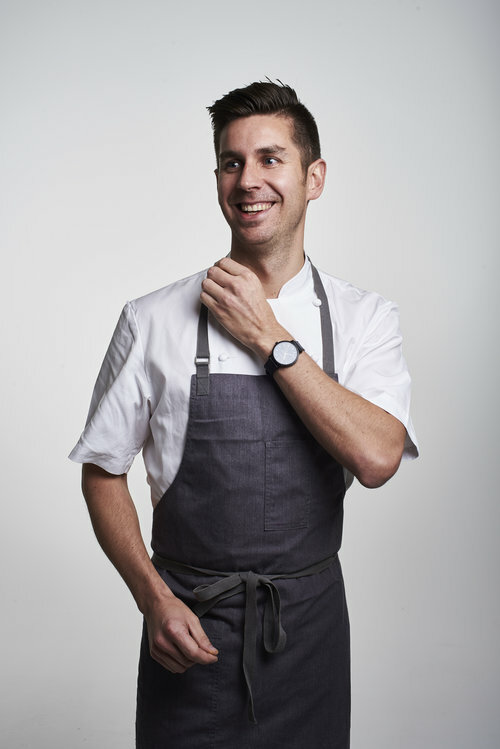 In 2016, John returned to his hometown of Leigh-on-Sea, where he opened his own restaurant a few months later: Food by John Lawson. It’s a restaurant like no other I have been to. In the months before opening up, John travelled the region and left no stone unturned to find the best suppliers for local, seasonal, and wherever possible, organic meat, fish, eggs, fruit and vegetables. He is passionate about food and will only accept the highest quality. After all the dishes he serves his customers are his calling card. John bakes his own sourdough bread and it’s not like anything you could buy in the shop. In fact, if you ate at Food by John Lawson regularly, you’d be unlikely to get the same bread twice. Actually, you may never even get to taste the same dish twice! The menu changes on a weekly basis, depending on what’s in season and what is freshly available right now. Every customer is served seven small courses of delicious, beautifully presented food. And what I love most: There is no need to read an extensive menu and then make a decision on what to eat. It just arrives! If you like you can see the menu before the food is served, but I always decline. I love the element of surprise. But don’t worry: the waiting staff will always first ask whether there is anything you don’t like or tolerate. If you are vegetarian, if you cannot tolerate gluten, whatever it is, John will accommodate you and you won’t lose out on flavours because of it. I don’t know any other restaurant where you don’t choose what you want and although I was a little apprehensive the first time, I loved it: It is so relaxing to not have to decide! And there is no food envy either (which I’m prone to) because the other members of your party are having the same. On his journey back to health, John focussed on digestive health as he was aware of the gut-brain axis and the important role the gut plays in overall health. Admittedly, a healthy gut doesn’t cure all ails, but you’ll struggle to recover from any kind of illness if your intestinal health is compromised. But when he started getting deeper down into the rabbit hole that is nutrition science, John decided that he wanted to learn more – and faster – than he had so far and his busy schedule didn’t leave enough time for reading all of it. So he got in touch with me and we are now having regular meetings to talk about physiology and nutrition, macro- and micronutrients, the benefits of different foods, and of course how best to cook them to preserve the valuable nutrients they contain without having to compromise on flavour. John wants his customers to have the best of both worlds: highly nutritious as well as delicious (nutrilicious!) dishes.